Across the country, criminals are arming themselves in unexpected ways. In Florida, they're stealing guns from unlocked cars and gun stores. In other places, they're getting them from the police themselves, as cash-strapped departments sell their used weapons to buy new ones. On this episode of Reveal, we learn where criminals get their guns and what cars can teach us about gun safety. Laura Morel of the Tampa Bay Times reports on an epidemic of gun thefts in Florida and how many of those guns are being used to commit crimes. Some of those weapons are taken from gun stores, while others are stolen from cars whose owners don't bother to lock them. Morel discovered that on average, a gun was stolen every hour of every day last year. Alain Stephens of Texas Standard reports on a surprising source of guns for some criminals: the police themselves. 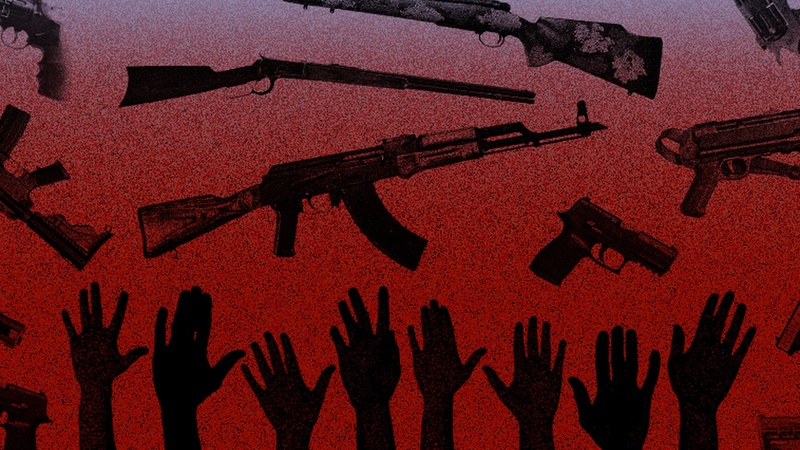 Across the country, cash-strapped departments are selling their used pistols and shotguns to help pay for new weapons. When Stephens tried to find out how many former police guns end up in crimes, he discovered this information is a closely guarded secret because of laws passed more than a decade ago to suppress tracing information. Reveal's Stan Alcorn looks at another public safety threat that used to be responsible for more deaths each year than guns: automobiles. While gun deaths have remained about the same for decades, car deaths have declined dramatically. That decrease began when the government started collecting data on car accidents and passing it on to carmakers, which used it to design safer cars. Public safety advocates say what happened with cars could serve as a model for reducing gun deaths.